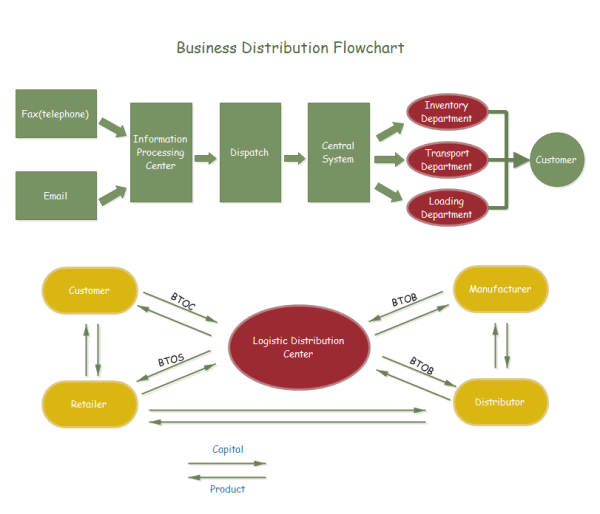 Below is a business distribution flowchart sample made by Edraw flowchart software. With this customizable template, users can easily start their own business distribution flowcharts. The business distribution flowchart template can save many hours in creating great business distribution flowchart by using built-in symbols right next to the canvas. You can download and use this template or choose more from our flowchart example center. To modify the examples, first you need to download and install an easy flowchart maker. Discover why Edraw is an excellent program to create business distribution flowchart. Try Edraw FREE.